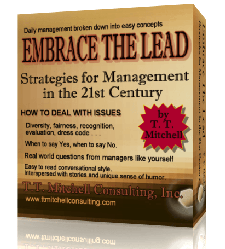 Even on this blog I’m often referencing my first book on leadership titled Embrace The Lead and my second book on leadership titled Leadership Is/Isn’t Easy. These are the first two products I have over there to the left. 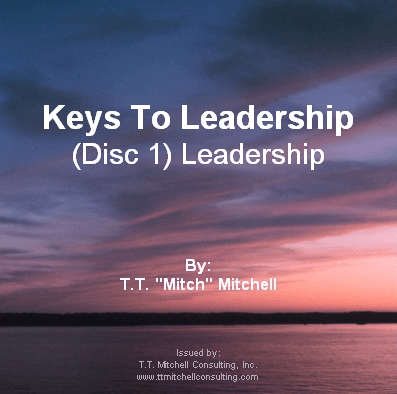 One of the products I don’t talk about all that often is my two-part seminar series titled Keys To Leadership, which I recorded in January 2004. I feel it deserves a mention because it’s not all that bad (I go back & listen to it from time to time), I’m as proud of it as I am of all the things I’ve created, and it comes with a pretty good backstory. 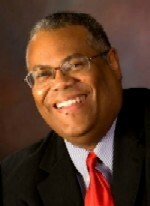 Keys To Leadershipis my live seminar series that I recorded in January 2004 here in the Syracuse area. As you should know by now, not everything comes easy for me, even those things that should be really easy. If they did, I’d never have stories to tell. Let me tell you the story about these CDs, after I tell you briefly about the CDs themselves. First, the cover I’m sharing isn’t the original cover. They were created years later by a lady named Vernessa Taylor, and I felt it was way more colorful than anything I could have produced. So, thanks again Vernessa! 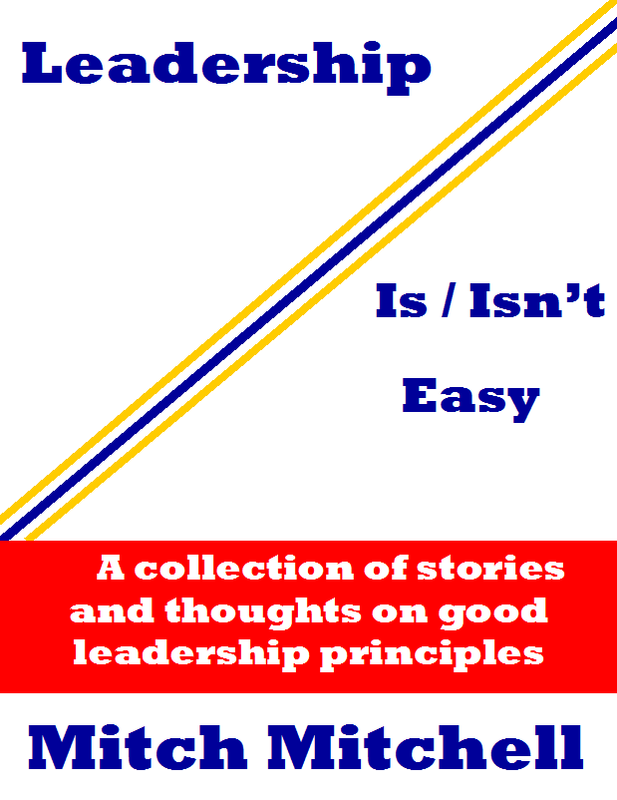 The first CD is called What Makes Leaders, and in this presentation I talked about stories that highlighted what I felt leadership is all about. 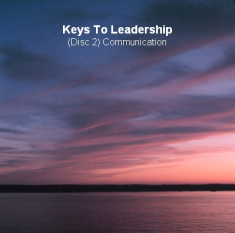 The second CD is called Communications/Nine Direct Management Points, and it obviously begins with my talking about the art of having good leadership communication skills, followed by nine points I feel are needed in order to be a good leader, with stories of course. If there’s anything I think I’m pretty good at, it’s telling a story. The one thing you should never do when you live in the Syracuse, NY area is schedule anything of importance in either January or February, unless it has something to do with winter. It’s not that people won’t come if they can; it’s whether they have the ability to come. I scheduled three consecutive Wednesdays of seminars in January, all on leadership and management, but with a different focus for each session. I charged for them, though not a lot, and they were advertised fairly well as I had a great connection at the Syracuse newspaper who always helps me out. The day of the first one I also killed a long term contract for subcontracting work that I wasn’t enjoying. My hope was that the seminar series would help my mindset and help jump start another side of my business. What didn’t help me out was the weather. The first week it was 15 below zero (that’s Fahrenheit; -26C) and snowing heavily. It had been snowing fairly heavy for 3 days already, and this would be the final night for this particular storm, though it wouldn’t be the final night of snow during a period where it showed 44 days in a row (you read that right). The third week we were having storm number three, which was the least amount of snow of the three storms. But there was so much snow already on the ground that there wasn’t anywhere to put new snow. The snowbanks around my house were over seven feet; that’s pretty scary. There were few spaces left for cars in the parking lot where I put on the seminars, but that was a common event all over the city. As you can probably imagine, this means that none of the seminars were well attended. The first week I got 7 people; I already told you about week two. The third week I got 5 people. But I plowed through anyway, and those people who came seemed to enjoy it. My friend Kelvin said he was surprised that not only could I get up in front of a group and give a full presentation, but I did it without notes, as I memorized my topics and the general gist of what I wanted to speak on, then just went at it. As a professional speaker, I pride myself on rehearsing so that I’ll come in on time; after all, money is time, right? And I generally got positive feedback from the folks who showed up, which was nice. Actually, I got positive feedback from everyone, even the one guy who wanted to debate me on the concept of whether leaders were born or not. But he was a good guy just the same. That’s my story and my introduction to seminar series, which I now market via immediate download. I hope you at least take a look at how I’m marketing them, and if you’ve seen any of my YouTube videos and thought they weren’t all that bad you might enjoy the seminars. If you want to take a look at all the products I’ve created you can look at them on my business products page. I hope you will; enjoy!